SALE PENDING $145,000 Move Right In! 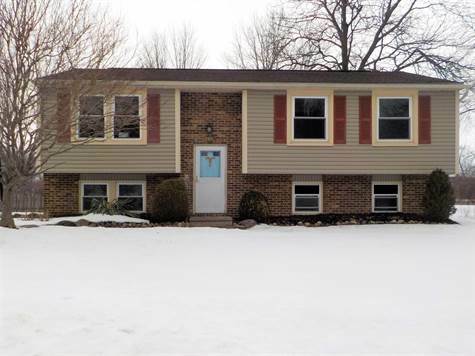 Bathrooms: 2 "1 Full; 1 Half"
Move right in to this 3 bedroom, 1 1/2 bath Raised Ranch in Liverpool School District. The eat in kitchen was remodeled within the past 10 years. All kitchen appliances will stay. A sliding glass door in the eat in kitchen leads to the deck with gas line for your gas grill and fully fenced backyard with above ground pool. Carpeted living room, 3 bedrooms and full bathroom are also located on this floor. The lower level offers a large family room area, office area, half bathroom, laundry room and storage. Newer windows, siding, roof under 10 years old, newer gutters with gutter guards, some new interior painting and much more.